Impressive homes welcome guests with an attractive entry way. What makes for an attractive entry way? The staff at Signature Iron Doors honed the discerning home owner’s ideal entry. 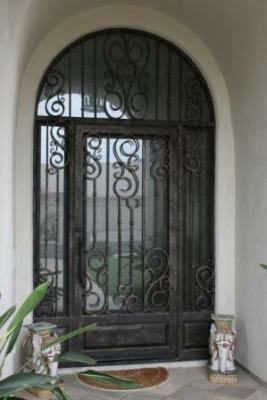 With hand forged, seamless steel, our iron work impress all who enter your home. Leading the iron door industry nationwide, customers and their visitors praise their Signature Iron Doors everywhere. Our showroom in Phoenix Arizona showcases doors of all shapes, sizes, and designs. This is a recent install we did in Phoenix. Call us and come visit our showroom to meet with a sales representative and discover why a Signature Iron Doors is the first impressive piece for your home.